Integrated printer driver for creating PDFs from inside all Windows applications. Edit text across paragraphs and pages, like in a word processor. Insert, move, delete pages; insert pages from other PDF files. Insert, move, delete pictures and drawings. Built-in multi-language spell checker and automatic hyphenation. Insert comments. Drawings, stamps, Export PDF files for editing in TextMaker or Microsoft Word. Export to HTML and picture formats such as JPEG, TIFF and PNG. Convert PDF files to the e-book format ePUB, Fill interactive and static forms. Search and replace text and fonts, Search and replace hyperlinks. Search and replace across files. Create photo albums using simple drag & drop. Redact confidential content. Protect PDF files with secure AES encryption. 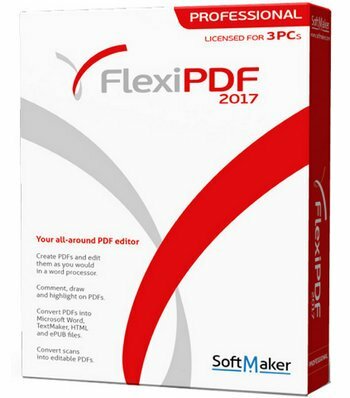 0 Response to "FlexiPDF 2017 Professional v1.09 Latest Update [+ Portable]"